Western grocery retailer Raley’s plans to sell its 13 Aisle 1 fuel stations to Anabi Oil, a Southern California convenience store/gas station operator. Financial terms of the transaction weren’t disclosed. Raley’s said yesterday that Anabi will retain the Aisle 1 name for the locations and become its exclusive fuel partner. Plans call for Anabi to take over operations of the Aisle 1 fuel centers early next year. 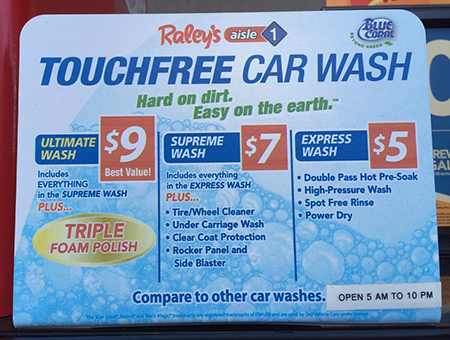 The Aisle 1 fuel locations, adjacent to Raley’s supermarkets in Northern California and Nevada, offer full-service fuel, car wash and convenience items. Under the agreement, West Sacramento, Calif.-based Raley’s will continue to provide fuel pump rewards to its grocery customers, who will be able to redeem them at the Aisle 1 sites. The company said 70 Raley’s stores currently offer pump rewards to area Aisle 1 locations. “With extensive experience in the convenience business and a strong family business in California, Anabi Oil was the perfect partner,” Raley’s Chief Financial Officer Ken Mueller commented, adding that the transaction is slated to close in late December. Upland, Calif.-based Anabi Oil owns and operates more than 295 locations and delivers fuel to another 160 stations under multiple brands, including its Rebel banner. The company also is one of California’s largest Shell-branded fuel distributors. The companies added that they will explore expanding customer discounts to other Anabi-owned locations and opening other fuel stations at Raley’s stores. They said they’re also working to provide options for continued employment to the 80 employees at the fuel stations, 11 of which are in California and two in Nevada. Overall, Raley’s operates 129 stores in California and Nevada under the Raley’s, Bel Air Markets, Nob Hill Foods, Food Source and Market 5-ONE-5 banners.